Coolest Feature: The bar. Tucked away to the left of the stage, you never have to worry about spilling your drink during the show. 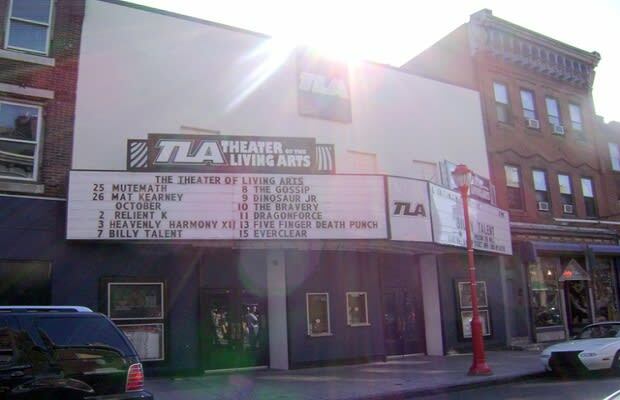 Better known as the TLA, the Theatre of Living Arts resides on South Street in Philadelphia, roughly a block away from the famous Laff House. In its early days, it served as a popular destination for the grindhouse films of the '70s and '80s, most notably for its midnight showings of the cult classic Rocky Horror Picture Show. After briefly hosting Broadway shows during the '80s, the TLA became exclusive to live concerts, save for the "Thunder Gun Express" episode of It's Always Sunny where the exterior was made to look like a movie theater, perhaps as a nod to its origins. The fact that it retains that old school movie theater aesthetic is its strongest selling point, and its midnight movie history will make it difficult to shake images of Tim Curry in drag, especially as you watch The Weeknd perform a stripped down version of "Wicked Games."